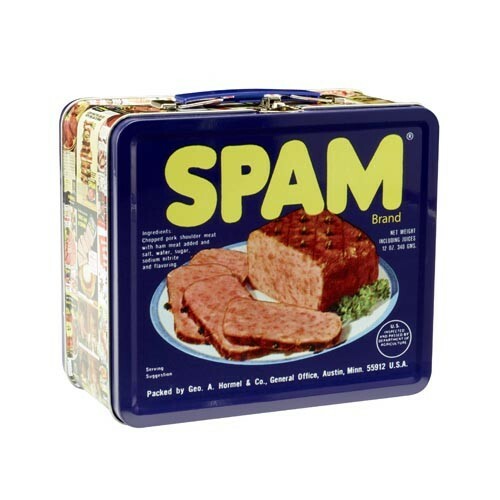 What could be more fun then bringing your lunch in this retro tin lunch box? SPAM® Brand retro design on front and back with colorful old newspaper advertisements fills the sides. Carry handle and clasp closure on top. Measures approximately 8"x7".